It’s time for another Attack on Titan OVA. You’ll be happy to know that this one is the best yet. It approached dangerous territory when the characters decided to go hunting, but the special did a pretty good job of handling it. It wasn’t perfect, but it managed to save itself as there was no blood or anything. It would be a little dicey if this was a long show were that kept happening or a movie with repeated scenes of this, but as a one off it wasn’t fatal. This special should really be called Attack on Jean. He’s a pretty minor character in the main series, but he effectively got his own special here. Jean wants to get a cushy job in the Interior so he won’t have to fight Titans for a living, but this is proving to be difficult. His best chance is to do well in a training exercise, but then his teammates destroy this chance by just being better fighters in general than him. Jean doesn’t take this too well and hastily accepts a cooking challenge against Sasha. If he wins, she’ll have to stop up staging him every day of his life. The battle is on, but can Jean really win? I do have to say that the remixed opening was handled pretty much perfectly here. We see a lot of shots of Jean running around and trying to be relevant and then at the end when the music is ramping up we just have him walking around since he usually doesn’t get to do much during the climax. It’s emotional yet also very fitting for the character. The soundtrack in general is easily 5 star material as we get most of the show’s famous themes from the first season. It’s just consistently amazing. The visuals are also pretty good. You’ll recognize the green energy effects the show loves to use and all of the character designs are on point. It’s not an action this time around so it’s hard to say just how good it is in the end, but it’s certainly good enough for me. One thing that is interesting to note is that Jean is a whole lot meaner than usual. In the main series he’s not the nicest of guys, but he’s still pretty even tempered as he just tries to get promoted to a safe job. In this special he’s mean to his Mom for no reason and even threatens to punch Sasha. He resorts to stealing/cheating and just has absolutely no moral compass. I suppose it’s part of the humor, but I can’t imagine his fans would be too thrilled about this. The Mom subplot in particular felt random since in the flashbacks Jean was actually a nice guy and I suppose we are led to believe that joining the army corrupted him. He’s just not the nice guy that he used to be anymore. The ending is also really cheesy so I wasn’t thrilled with that. We all know who should have won the cooking contest based on the two dishes. On the other hand, we can also assume that the wrong choice was picked because the judge was incredibly drunk. At least he was in character as I’ve never liked this guy. He has some hype but never does anything with it and is content to boss everyone around from the sidelines. Not the kind of guy you really want on your side. As I mentioned before, there was one tricky scene where the heroes decide to hunt a boar for no good reason. Unfortunately they do nab him, but it was at least not done in a violent way. It’s a nice consolation. That’s really is for negatives and minor gripes. Beyond that, the special had really good pacing along with its soundtrack and graphics. It did a good job of embracing its comedic nature without going too far. For example, a good scene was when everyone transformed into Titans and could only watch as someone started taking everyone down. It was a nice high budget action moment that was certainly one of the highlights. It was just a good amount of fun. I also liked Eren’s cameos as he called Jean out and also didn’t let Mikasa do all of his work for him. Eren likes to contribute so he will get strong enough to stomp all of the Titans. It would have been cool if the special could have kept in the scene where Eren beat Jean up, but at least the highlight is up on Youtube so you can always pause the special and quickly watch it during the beginning where it would have been perfectly thrown in. In case it wasn’t too clear, I was on Sasha’s team for this mission as Jean just didn’t do anything that made me want to root for him. He was basically the antagonist in this one after all. The special also added some clever homages to the main series like when Sasha hit Reiner with her elbow in the same way that Eren attacked him in the forest. It was the same exact shot and I seem to recall 1 or 2 other instances of this. It was a nice bit of foreshadowing for the people who had already read the manga. Fans of the series will definitely get more out of this than average viewers, but both should still enjoy it quite a bit. It’s ironic that the best Attack on Titan special would be the comedy one, but now we know what the series could have been if it was a parody. 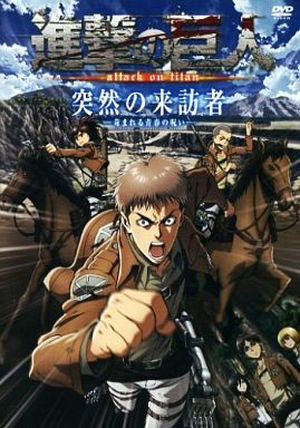 Overall, Attack on Jean was pretty fun. I wouldn’t mind if the series followed his adventures, but I have a feeling it would still suffer from the same problems as the original and a big problem would be that there would be fewer Eren scenes to try and bring it back up. The ending may be a little disappointing, but I’d still recommend checking the special out. It’s just pretty fun and quite possibly the only time you’ll be able to see Attack on Titan like this. It’ll truly go down as a collector’s item. 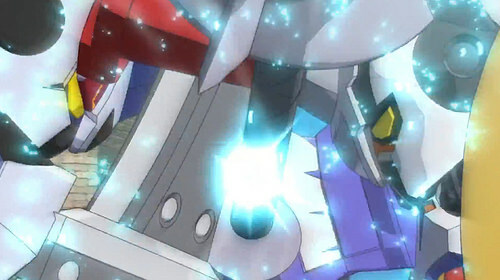 It’s time to look at a little special that LBX Wars got after the series finishes. It gives us the crossover that we had long been waiting for; the big battle between Ban and Sena. It’s a little under 10 minutes so the special really has to hurry to the fight, but we got two quality fight scenes so I’d say that it did a good job of getting right to what I wanted to see in a crossover. The premise is a little sad for Sena though as it turns out that he never got the proper approval to leave the island at the end of the series. Luckily, this is how he meets Ban, who has stopped at the island to teach the kids. Sena challenges Ban, but the old hero quickly brings along Jin for support. Sena gets a teammate as well, but ends up getting back stabbed (accidentally) and loses. Sena isn’t totally satisfied so he gets another rematch against Ban and this time it’s one on one. Can Sena squeeze out a win? Don’t expect anything decisive as the special decides to play it very safe at the end. I’ll still give it credit for having a real victor in the first set though. At the very least, we know which tag team is better. While it was written to show that the loss was really Sena’s fault for rushing in, I don’t blame him. His robot’s specs should be vastly superior to Odin’s by this point so rushing in is a good strategy. Not to mention that being aggressive in combat is usually the best approach as opposed to the “wait and see” tactic that was suggested. I’d also say that Sena did a good job of holding his own for the most part. It’s still a little hard to get used to Ban’s new design. (Yes, the glasses count as a whole new design) At the very least, he does seem to still have his old personality in tact. He was already drifting from the LBX game in the second series and it seems to be complete here as he mentions that he hasn’t played in a long time. It’s regrettable, but sometimes you live long enough to see yourself turn into the old man of the series. I can’t say that I’d like Ban much based on this, but he was great in the first two series so he still has that going for him. The supporting cast members like Jin and friends all seemed in character, but naturally there wasn’t enough time for them to do all that much here. One thing that’s noticeable is how the special decided to save as much budget as it could. As such, we get several scenes where it’s just a giant head floating around or a sky view of the island. It’s not bad, but you can definitely see what the special is doing. I’m guessing this was made really quickly with a limited budget so they wanted to save it for the fight. I’d say that was a smart decision and it paid off since both action scenes were quite good. The animation has aged really well as with the rest of the series. 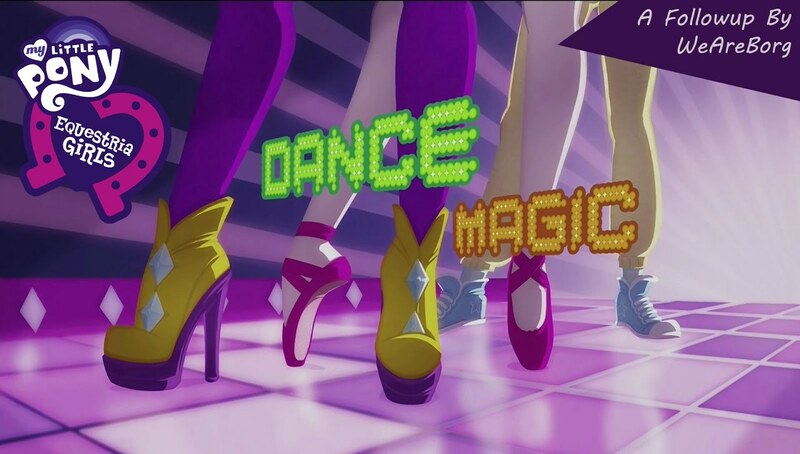 We also got to see a lot of the classic tunes return for this special which was nice and nostalgic. Overall, This was a pretty good special. It’s a shame that it was so short, but finally getting to see the main characters fight each other was fun. If anything, it probably hints that Sena would be able to beat Ban since he didn’t even use his full synchro mode in their fight. That makes sense since Sena was never a fan of it and the world isn’t in danger this time, but it’s something to think about. LBX did about all that it could in the 10 minutes and the one thing that I would have changed was to have a decisive victor in the last fight. That would have definitely been nice to see. I’d definitely recommend this special. You’ll probably enjoy it more if you’ve seen the show, but it could also be a nice way to get into the franchise as a whole. After all, it has the main strengths of why I like the series so much. The high quality action scenes and the solid soundtrack make for a good combo. Hopefully we get a Hollywood LBX movie or a nostalgic anime movie sequel at some point. We just need LBX to live on! The Grinch is a classic tale that many likely grew up with or have at least heard of. I remember singing the songs for Choir and the concept behind the Grinch is decent enough. That being said, I was disappointed upon actually watching the original film. It hasn’t stood the test of time and is easily one of the worst Christmas specials on the block. If the Grinch didn’t have a dog, things would be different, but it’s simply too overdone for the duration of the entire film even if the ending is inspirational. The Grinch is a creature who lives in a cave, but can never sleep because the aliens who live below are constantly making a ruckus with their loud instruments. They find it enjoyable so it doesn’t matter how loud they play. 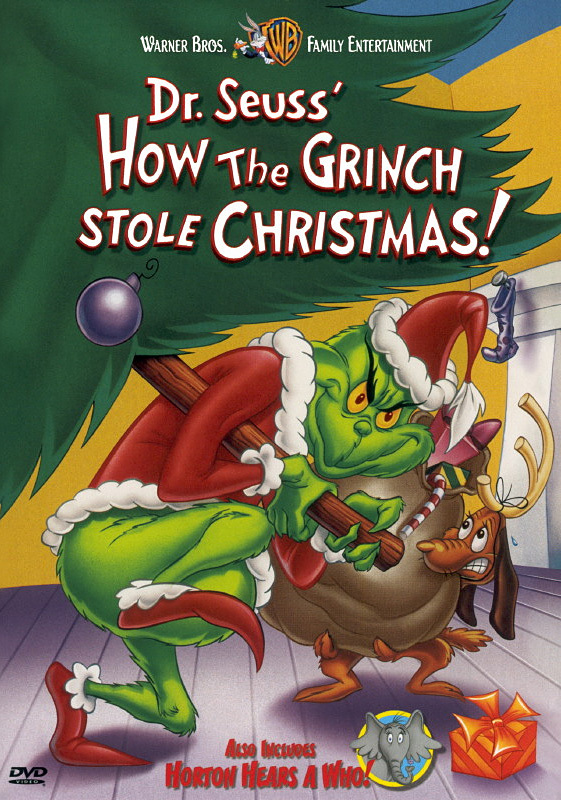 To punish these creatures, the Grinch decides to destroy their Christmas by stealing all of their presents and Trees, but are gifts really the meaning of Christmas? The Grinch is about to find out that material possessions aren’t enough to cancel such a joyous day. This special is very short and is only about as long as your average cartoon episode. The Grinch goes around stealing everything until the end of the film where he realizes that it was all meaningless and turns over a new leaf. I have nothing against the actual plot and it wasn’t all that bad. This special was made around 50 years ago and the animation still holds up decently well. The Grinch’s character design is good and I still think that The Mask drew some inspiration from it. That being said, there is one thing that holds the film back. The Grinch has a dog who is completely terrified of the fiend and is always forced to lead the charge in the Grinch’s wild plans You end up feeling bad for the dog since nothing goes his way and he’s constantly put in danger. If you’ve seen the Angry Birds trailer for the upcoming film, you’ll remember a scene where the main bird kicks another one into the ocean. It’s a very mean spirited way to show off the film and while it’s supposed to be funny, you have to question how you can laugh at such a deed. It just brings down the film and I’ll take crude humor over this nonsense. The Grinch’s dog completely ruined the film for me. I doubt that the film would have gotten anything more than a 5 or maybe a 6 anyway, but that was not going to happen now. It’s not nearly bad as real animal violence from films like Hunger Games since it is still animated and nothing seriously bad happens to the dog, but the concept behind it is still not good. Aside from that, the film was decently interesting. I do think that it would have been much better if the film took place on Earth so we could have some human banter from the other characters instead of them all just deciding to sing. We could have gotten a scene like in the Charlie Brown Christmas special where one guy tells the world the true meaning of Christmas and Christ’s birth. I can safely say that such a scene would have helped the film regain some of the ground that it lost thanks to the dog. The aliens aren’t bad, but they just seemed unnecessary and the odd world with its unique inventions were all right as well, but they also didn’t ultimately add anything to the plot. Not a bad thing, but I’d prefer a city like New York to be in the film any day. Since the Grinch is a good guy now, it would be interesting to see how the sequels handle the situation. Maybe he’ll just turn back the leaf and go to his old ways. I wouldn’t put it past the Grinch since he is not someone who should be easily trusted. Overall, How The Grinch Stole Christmas may be a Christmas classic, but that doesn’t actually mean that it’s a good film. The Grinch is definitely a villain who you can root against, but he’s not a great character and his whole character arc happens very suddenly and not without a whole lot of foreshadowing. It makes you wonder what the point of his endeavor was. The film had a good ending though and at least the moral was sound. I thought that the animation was decent and there wasn’t really a soundtrack, but the film is old so that would have been very tough. I don’t recommend this film and if you want to watch something that’s a little more emotional, then I invite you to watch Rudolph the Red Nosed Reindeer. Careful though, it may bring tears to your eyes. I’ve already described most of the plot, but it should be noted that a girl named Mairin gets in on the action. After witnessing an epic clash between Alain and another Pokemon trainer; she takes it upon herself to follow him and learn the secret behind Mega Evolution. Alain doesn’t seem to want her around, but he’s not able to ditch her because of other Mega opponents that are around. He won’t stop until he’s defeated every last one of them! Alain is our lead in this special and he’s a decent character. Alain is definitely no Ash Ketchum when it comes to personality, but he definitely has some skills. (Of course, Charizard Is doing most of the work…) He tries to be mean to Mairin so that she will ditch him, but it doesn’t work. Beyond that, he tends to be a nice guy, but he also gets straight to the point. He wants to defeat his opponents and that’s what he intends to do. You’re not really able to write a whole lot of personality in a character within 20 minutes so that’s good enough for now. As such, Alain is a bit generic at the moment. Mairin doesn’t fare much better. She trips quite a lot and it can definitely be a little over the top. She’s definitely out of her league at this point and she has a ways to go. Luckily, she just started her Pokemon journey so this is to be expected at this point. She’s much better than all of the other “Marron” characters that I’ve seen. (DBZ character reference) A solid time skip would work out pretty well for her and she has potential to be a tough trainer. It just won’t be realized at the moment. 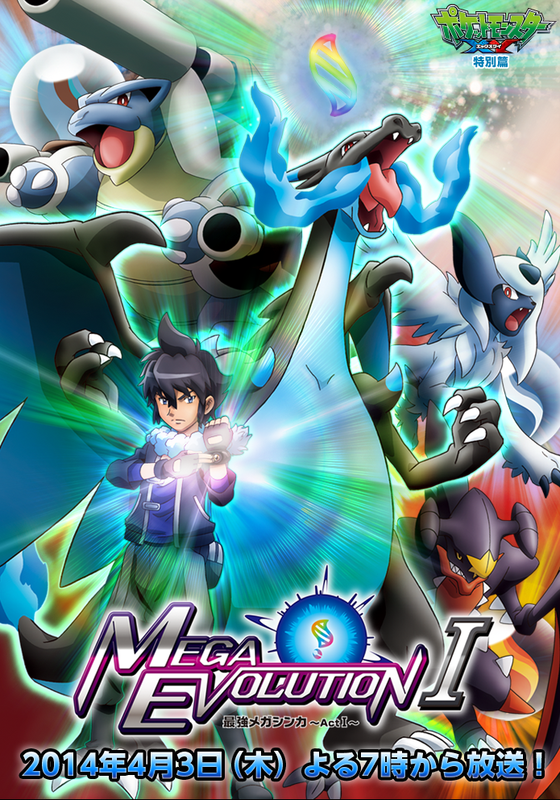 Naturally, most of the hype around this special was directed at the Mega Evolutions that were going to be witnessed. The special does a good job of showing just how massive the power upgrade is in this form. The first battle ends up taking down most of the forest in collateral damage. Mega Charizard is always fun to see and Garchomp’s Mega form is very impressive as well. One can watch this special just for the fights because they’re that good. Now more people can accept the fact that Pokemon can definitely keep up with the Justice League or the Avengers. The overall animation for the special is really good as well. I dare say that it’s slightly flashier than the latest episodes (Which are already awesome) and each attack looks great. The ultimate dragon attack from Blastoise was really large and you could practically feel the power. Every part of the special felt polished and animated to perfection. It’s definitely one of the better animations that I’ve seen in a while. Unfortunately, the special falls a bit with the soundtrack. It’s very sub par compared to the average array of Pokemon themes and especially in consideration of the recent Pokemon Origins special. The tunes were generic at best and they really did not go well with the fights. That always hurts the overall experience because you need solid music to really be able to enjoy the battles to their full potential. I recommend watching the special until the very end because we get a cliffhanger. It may be extremely generic, but it’s good enough for me. A generic cliffhanger beats no cliffhanger at all! Hopefully part II comes soon because I’m ready for more Mega fights. I may miss Ash and friends, but I can still enjoy this without them. Overall, I highly recommend checking this special out. It’s a great way to launch yourself into the Pokemon franchise. The special has heart and a lot of action. Ash Ketchum even gets referenced and it’s in a pretty epic way. Alain better hope that their paths never cross! Their’s also a good intro that shows off a lot of the Pokemon so that you get their Mega Forms can be seen. It’s short as well so there’s no reason not to watch it! Pokemon will always be one of the best franchises out there.